A resurgence of internal armed opposition in Southern Sudan illustrates that the birth of this new independent nation, scheduled for 9 July, will be marked not only by celebrations of long-fought liberation from the North, but also by anxiety about the government’s ability to maintain peace and stability across a vast and ethnically diverse region. Claims of rebel unity feed this anxiety. The most prominent man now fighting the southern army (SPLA), George Athor, a former SPLA general, who broke away after claiming fraud in April 2010 gubernatorial elections, recently announced that five opposition forces active in several states had forged a united front against the ruling Sudan People’s Liberation Movement (SPLM). “Our objective is realization of democracy in the new country of South Sudan,” Athor said by satellite phone from his undisclosed hideout in Jonglei. “We must ensure that all Southern Sudanese are equal irrespective of tribe,” Athor said, arguing that there is “no equality among southerners” under the rule of the SPLM, which is dominated by the Dinka, the region’s largest ethnic group. SPLA spokesman Col Philip Aguer dismissed Athor’s unity claim, insisting that all the various opposition forces scattered across the South had in common was support from Khartoum. Aside from a few documents of dubious authenticity, no hard evidence has emerged to support this allegation, made repeatedly since rebellions escalated after the elections last year, and then again after a lull surrounding January’s secession referendum. Over recent weeks hundreds have been killed in the violence, which echoes the internal conflicts that raged during the South’s decades-long armed rebellion against the North. That larger civil war ended with the 2005 signing of a Comprehensive Peace Agreement (CPA). “Current reports indicate that more than 10 conflict incidents relating to militia groups occurred in March,” said Giovanni Bosco, head of the UN Office for the Coordination of Humanitarian Affairs (OCHA) in Juba, the Southern capital. He added that almost 16,000 people had been newly displaced in Jonglei, Upper Nile and Unity states as a result. “The recent increase in the intensity and scope of violence in parts of the South is worrying. Even more worrying is the impact of fighting on civilians, including on the high number of returnees [from the north] present in some of the affected areas,” said Bosco, noting that the fighting - and related relocation of five NGOs in Jonglei - limited the humanitarian response and risked disrupting the current start of the school year. “Of additional concern are reports of newly laid land-mines, which pose a threat to the security of civilians and jeopardize the agricultural season,” he said. The UN has also warned that more than 10,000 civilians displaced by clashes between the SPLA and Athor’s group in Jonglei were “in a dire state with serious shortages of food, water and medicine… a number of elderly people have died” while fleeing to places of sanctuary set up by local authorities. “This is not what we expected,” said Philip Aguer (not related to the SPLA spokesman), a former SPLA child soldier whose father died in the civil war. “We are disappointed with what we are now experiencing,” he said, referring to the army’s alleged “mistreatment of innocent people” in its counter-insurgency operations. Several analysts have underlined how important it is for all citizens to trust the government of the soon-to-be independent state to represent their interests. “South Sudan [as the new country will officially be named] will need to demonstrate that it belongs to all South Sudanese; that it does not belong to any ethnic, religious or political group,” Jok Madut Jok, an academic specializing in conflict analysis, who now serves as Minister of Culture, said in a 25 March speech at the University of Juba. 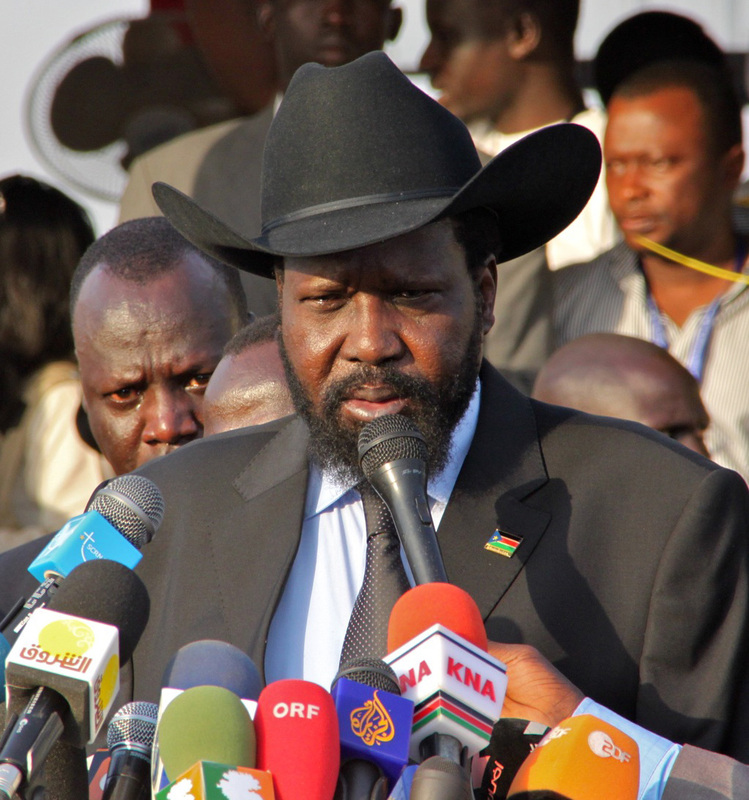 Civil society groups have criticized Salva Kiir, President of the Government of Southern Sudan (GoSS), for failing - beyond offering amnesty to various rebel leaders if they disarmed - to significantly make good on public promises in the referendum’s run-up to accommodate his political and military opponents. On 17 March, the Carter Center issued a statement urging the SPLM to be more inclusive in the transition to independence and criticizing the party for its “dominance over all decisions” and its prevention of “meaningful participation from opposition members”. For Zach Vertin, an analyst with the International Crisis Group, “Managing diversity and building a common national identity in the new South will not be easy, particularly in a still-militarized environment. How the GoSS and the SPLA handle these latest rebellions may set the tone for the post-independence period, as relationships are redefined between state and non-state actors,” he told IRIN. “A forceful response [to armed opposition] on its own is unlikely to yield solutions, particularly where local communities, ethnic tensions, and legitimate grievances are mixed in. Southern leadership should open political space and articulate a strategy to address genuine grievances so as to consolidate its legitimacy among the public more broadly. Otherwise, these may not be the last of the rebellions," he warned. Ali Verjee, a senior researcher with the Rift Valley Institute, told IRIN: “The violence has demonstrated that the currents of discontent within both the SPLM and SPLA are far from resolved, and have a growing constituency of support, which may grow further still. “While the causes of the violence are complex, it's worth noting at least two holdovers from the CPA: a continuing failure to successfully integrate other armed forces into the SPLA and dissatisfaction with the flawed 2010 elections, which collectively opened more wounds than they healed. “The patterns of behaviour that have so far defined the approach to military integration and political competition, if sustained, will not end Southern Sudan's instability,” he warned.